The iPhone XS and iPhone XS Max are the talk of the town right now, and that’s not likely to change until Google gets around to launching its own flagship phone next month. With the spotlight on the iPhone right now we are seeing plenty of tests and benchmarks being run to see just what makes it tick. The latest of those comes from Macworld which wanted to see just how fast the new model was when compared with last year’s iPhone X. Apple claims some impressive speed increases, but are they legit? With Apple claiming that the iPhone XS’s two high-performance cores are up to 15% faster and the GPU up to 50% faster, Macworld set out to conduct some real tests to work out whether that was actually true or not. The tests involved benchmarking apps Geekbench and 3DMark, with the devices given chance to cool down in order to ensure no thermal throttling was taking place. We run every test multiple times, allowing the phone to cool off between runs. Tests are run in airplane mode where possible and with no other applications loaded. We do all of this to help eliminate inconsistencies and allow each device the opportunity to achieve its best result. As for those results, they tend to agree with Apple’s estimates for the most part, with single-threaded performance showing a 13% increase, compared to Apple’s 15% claim. The pattern continued with the GPU test resulting in a 40% increase over the iPhone X, compared to Apple’s claimed 50%. 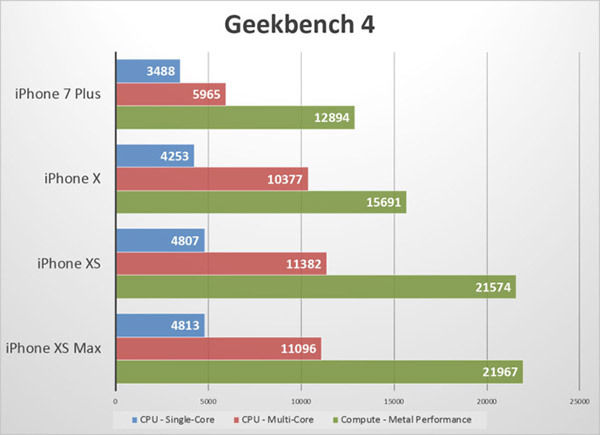 However, things changed when Macworld moved from using Geekbench to the 3DMark Sling Shot test, with the results essentially identical to the iPhone X. However, this may simply be down to the way the test is conducted. 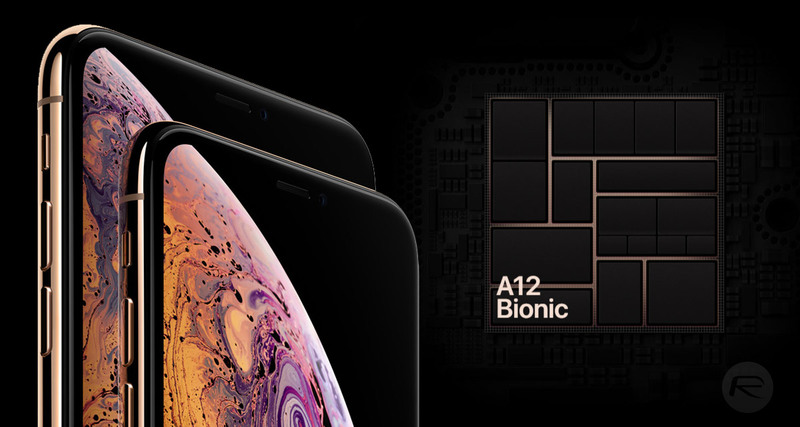 What happened to the “up to 50 percent” GPU speed improvement of the A12 Bionic? Well, it’s quite possible that this test, with all of its large art assets, is entirely bottlenecked by memory bandwidth and cache performance rather than the GPU’s ability to perform computations. That theory is somewhat validated if we run the older Ice Storm Unlimited test [which] runs around 18 percent faster on the new hardware. As always though, it’s worth remembering that benchmarks don’t always correlate to real-world usage, so take all of this with a pinch of salt and remember – if you own an iPhone X, you probably don’t need to upgrade to an iPhone XS just yet. If you’re itching for the bigger screen, the iPhone XS Max may be a worthy upgrade, however. 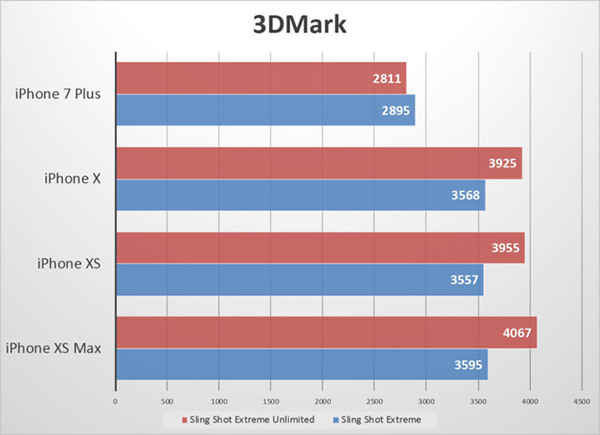 3DMark Sling Shot results are simple to explain, the app is not XS hardware compatible.